Most virus protection software programs are excellent at protecting your computer. Even if you obtain a virus, these programs will safeguard your computer and even restore damage that a virus may have caused. We do not endorse any one company, they all provide sufficient protection. Looking for TOTAL security? 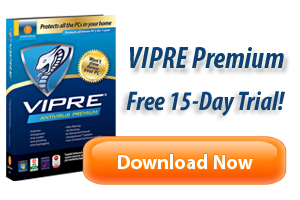 VIPRE Antivirus Home Premium adds a personal firewall, malicious website filtering and other features that provide lean and mean security to protect you from today's malware threats.